The free-form pool is a beautiful asset at Deerwood. 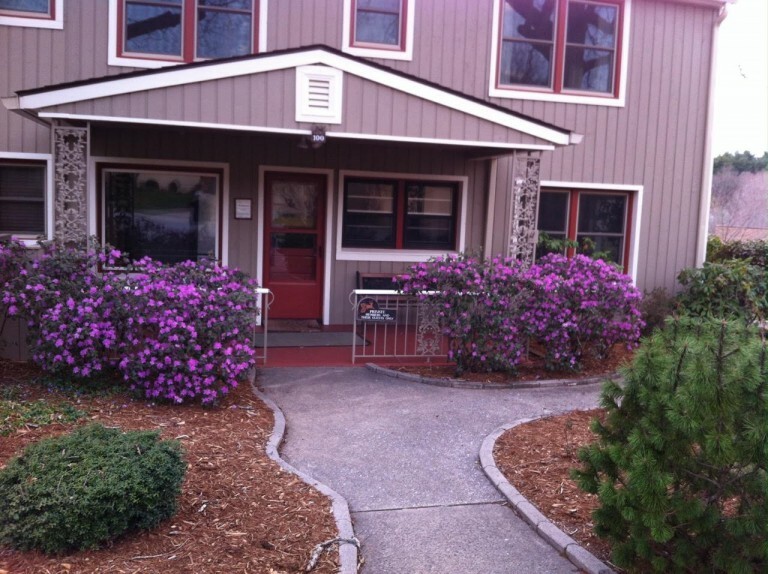 It is fenced, very private and surrounded by well-maintained landscaping. The pool is for the exclusive use of residents and their guests. Residents have held water aerobics classes, informal drinks and dinner engagements, board meetings and other community events during the summer months. The pool may be used by residents and their guests for private pool parties and celebrations with advance approval from the association. 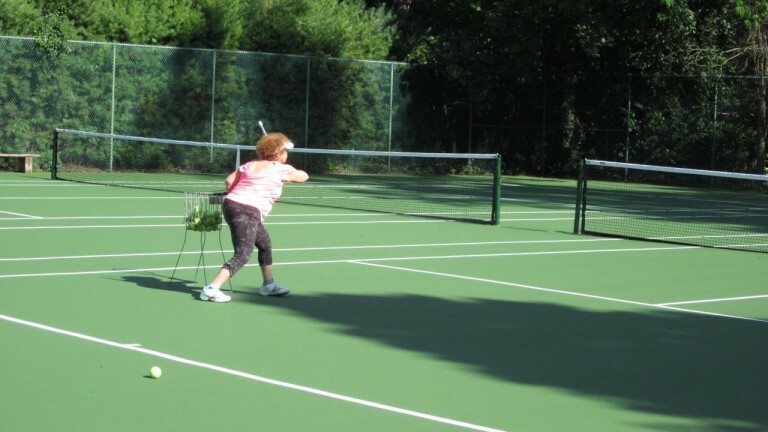 The two tennis courts, and newly added Pickleball lines on the courts, are for the exclusive use of Deerwood residents. The courts have been resurfaced and restored and are nestled within the hear of the community -- very private and easily accessible. The Clubhouse is where residents meet to socialize and hold official and not-so-official meetings. Once a month, the residents gather for Cheers, a cocktail-hour meet up where wine and light hors d'oeuvres are served, in generous quantities. The Clubhouse is rocking again every Saturday morning, 9 a.m. - 11 a.m., for coffee. This is a very informal, drop by for residents and guests. There are lively conversations, freshly baked goods, unlimited cups of coffee and many great Deerwood stories. Not to be missed! The Clubhouse is also a great place to host your own summer barbecue, Christmas party, birthday celebration or whatever you can think up. Just book your day and time with the association.